Tea, as you are aware I love this stuff and combining it with chocolate… it is practically heaven! When I saw this at the Chocolate Festival this year, I was instantly intrigued and mind-blown. I forgot the price, but this packet was worth it. 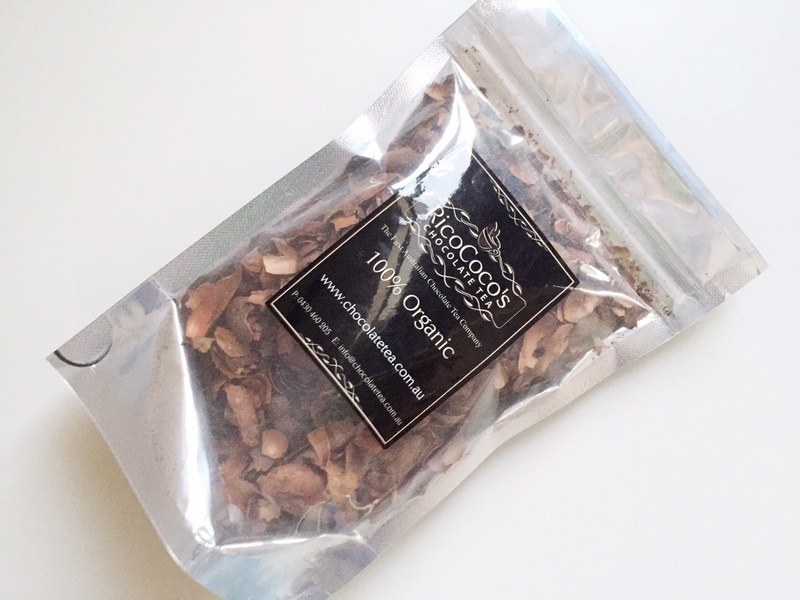 I thought it was infused, but no… it is made from the cacao bean shells, making it 100% organic. The taste is not too strong, very light and for me it is still something my taste-buds will grow to love. 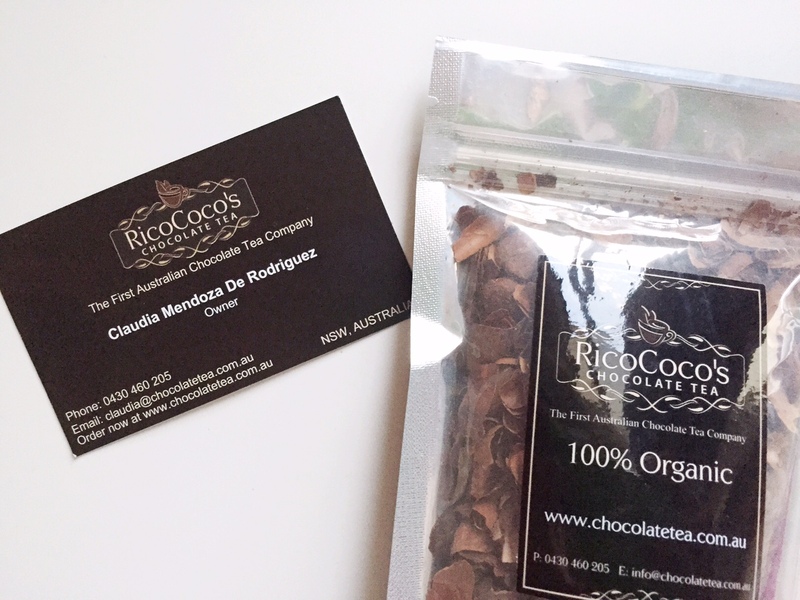 When you need a little dosage to your chocolate cravings, I have mine all the time, this first Australian chocolate tea product will do the trick.